Priced just right for those of you who are on a tight budget, the economical Small Shower Arm with a Flange from Hansgrohe is sure to make the perfect addition to your bath and shower upgrade. 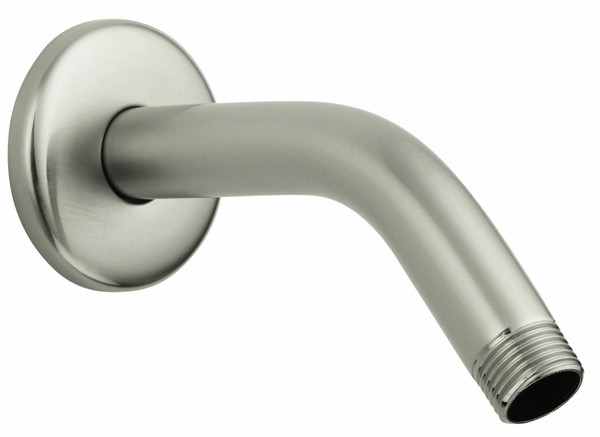 The Small Shower Arm with a Flange is currently available in two lovely finishes - choose between modern chrome and subtle brushed nickel to coordinate your look. 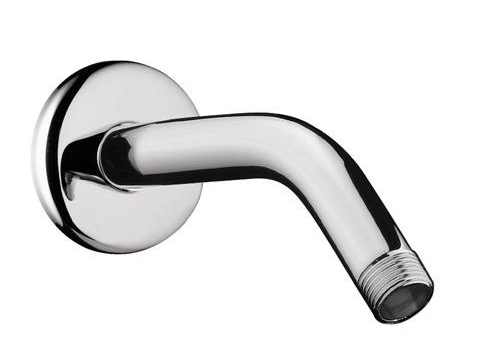 The Hansgrohe Small Shower Arm features a durable brass construction to add to the longevity of this piece of hardware. With 1/2 inch IPS connections and a 5 1/2 inch reach, this shower arm is perfect for those who needs to save space and money. WARNING: This product can expose you to one or more chemicals, including lead, which are known to the State of California to cause cancer and birth defects or other reproductive harm. For more information go to www.P65Warnings.ca.gov.